The high viewpoint enables the artist to emphasise the height of the mountain, which he clearly found important (see. No. 20) [EAX.4270]. Notice the total lack of reflection of the mountain in Lake Motosu. 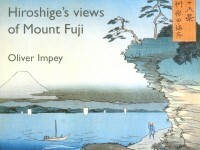 Motosu is one of the famous Fuji Five Lakes, a celebrated tourist attraction. 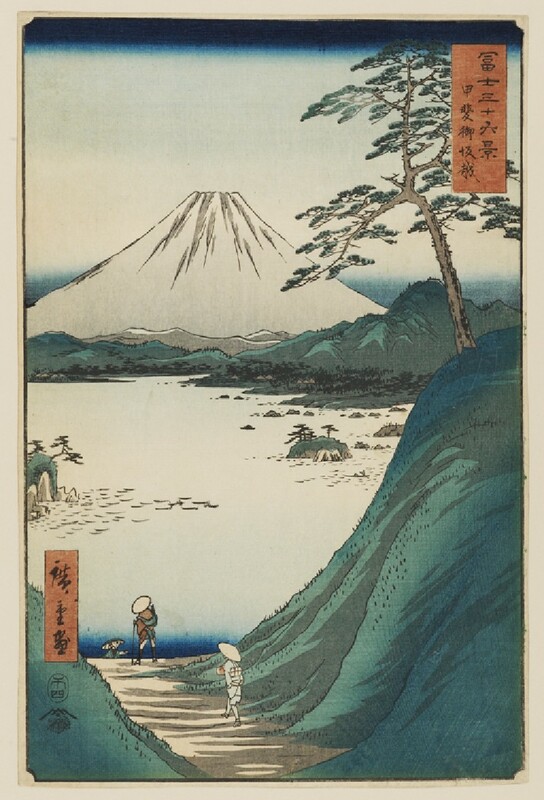 The high viewpoint in this print enables Hiroshige to emphasise the great height of Mount Fuji. 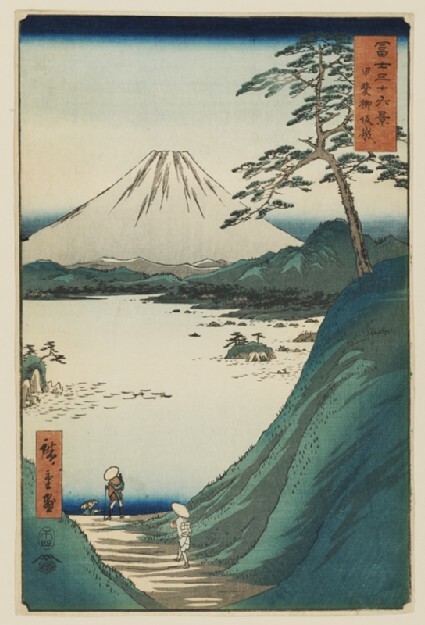 Fuji, the sacred mountain, had long been a favourite subject for poets and painters and there was great public interest in Mount Fuji during the mid-1800s, when Hiroshige was working on this series. It is interesting to note that there is no reflection of the mountain in Lake Motosu below.